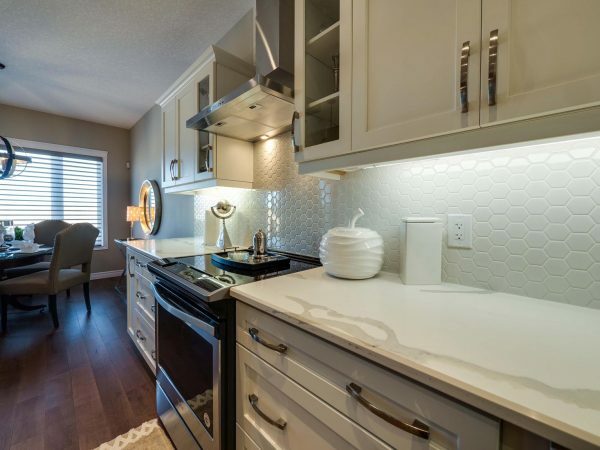 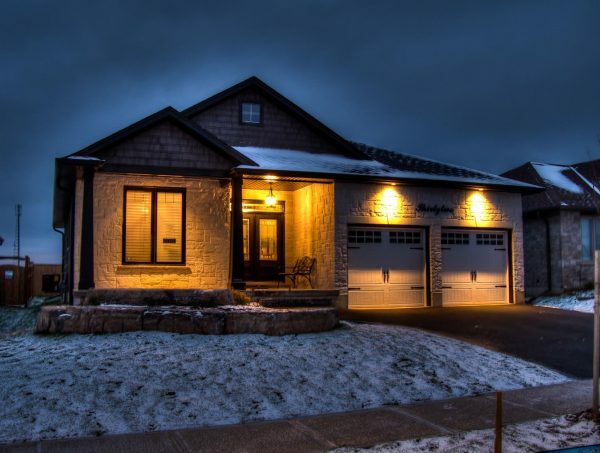 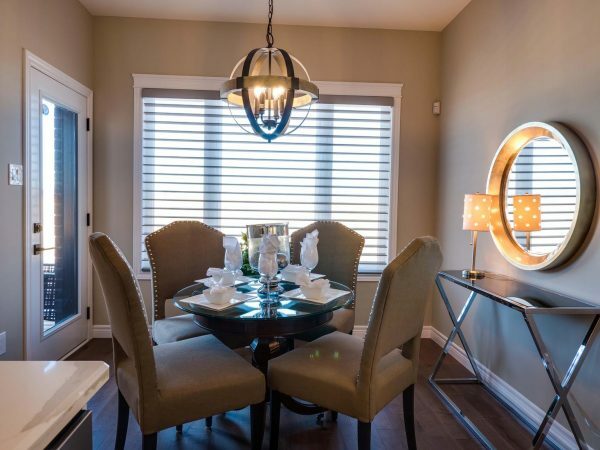 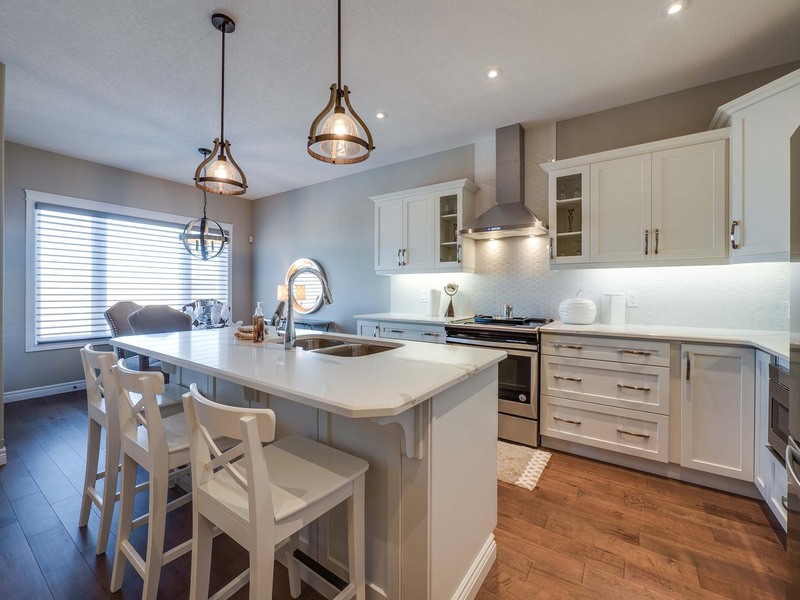 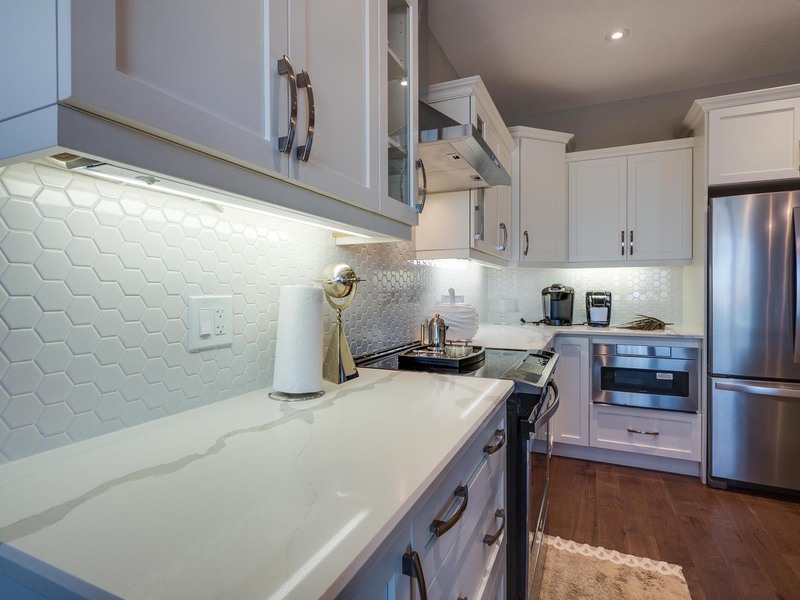 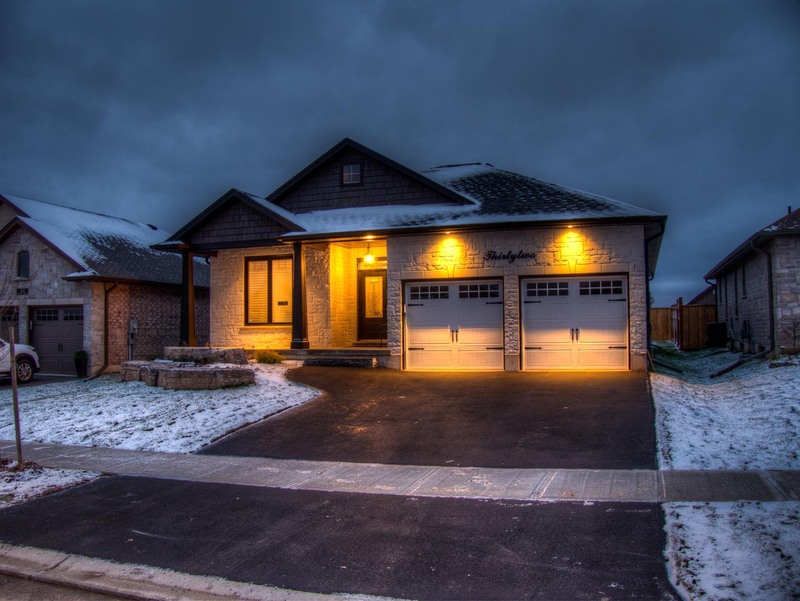 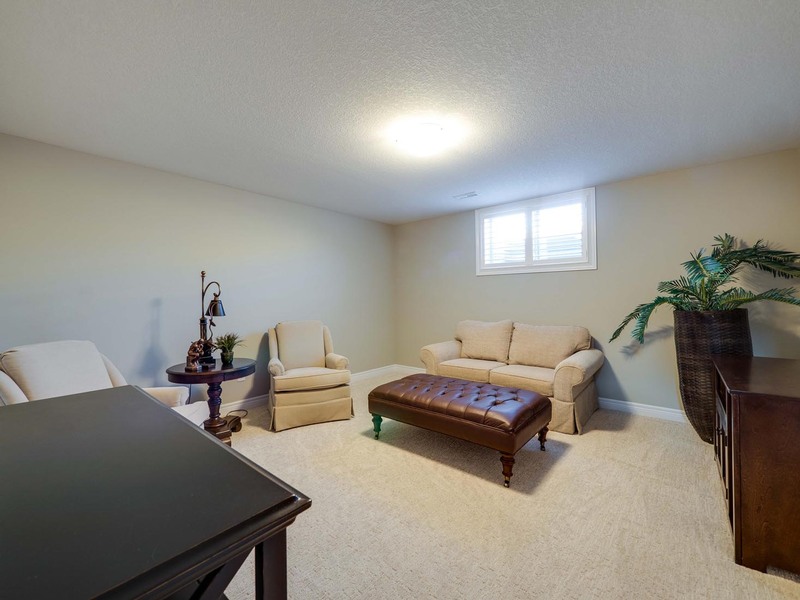 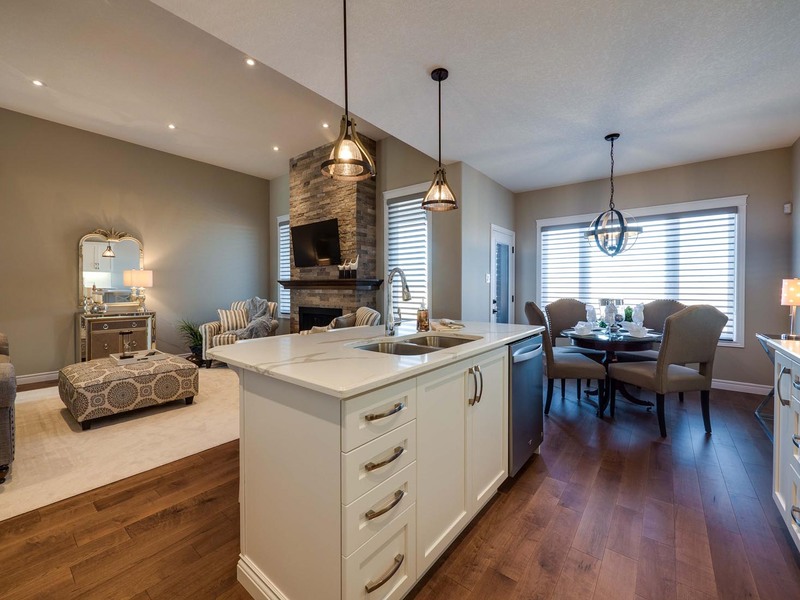 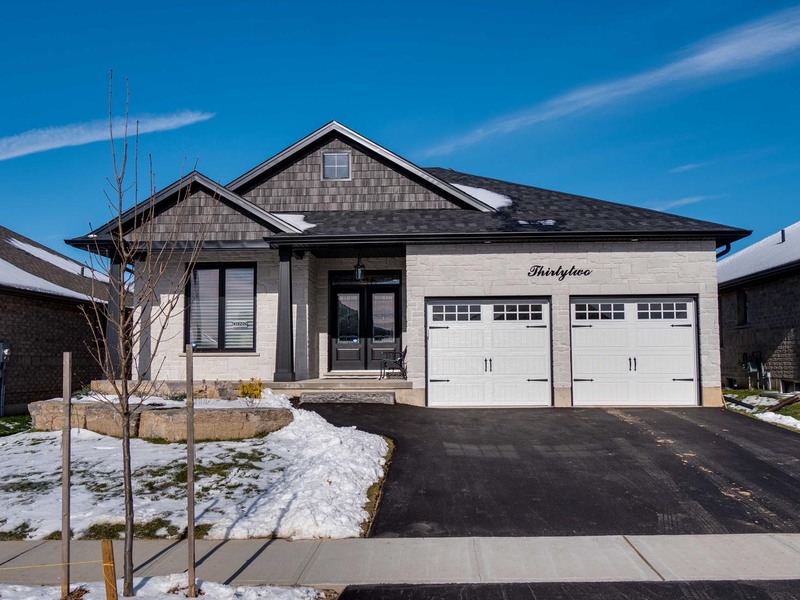 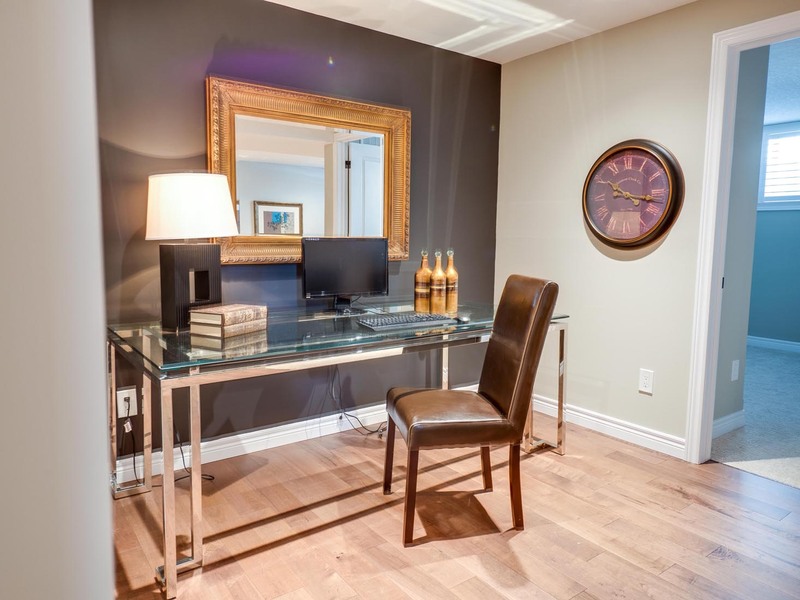 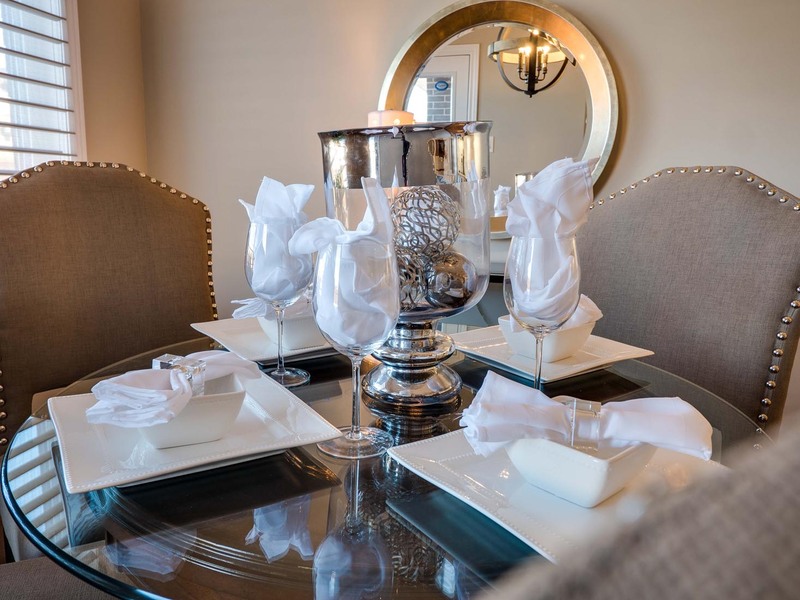 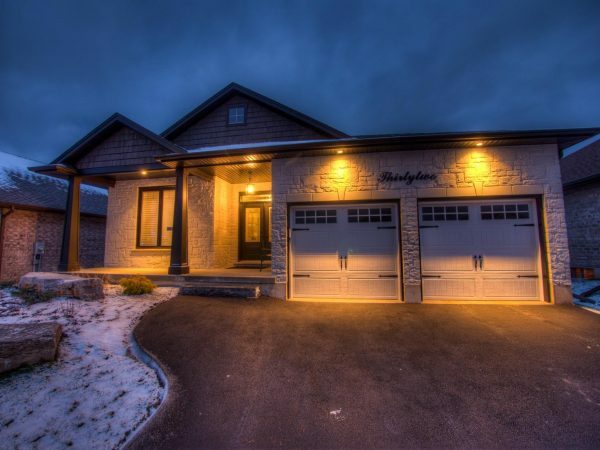 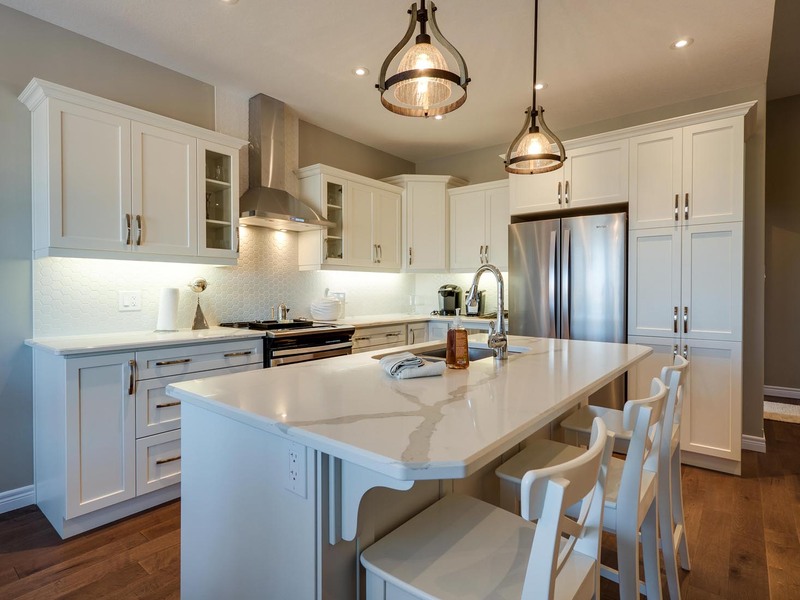 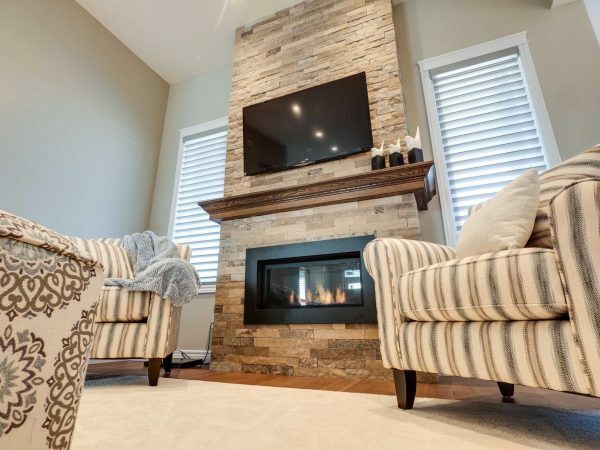 SCROLL DOWN TO SEE THE KESWICK GALLERY, VIDEO VIRTUAL TOUR AND FLOOR PLANS! 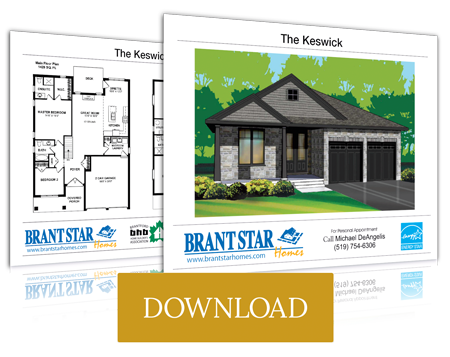 The Keswick Plan is a new twist on our most popular plan, The Brunswick! 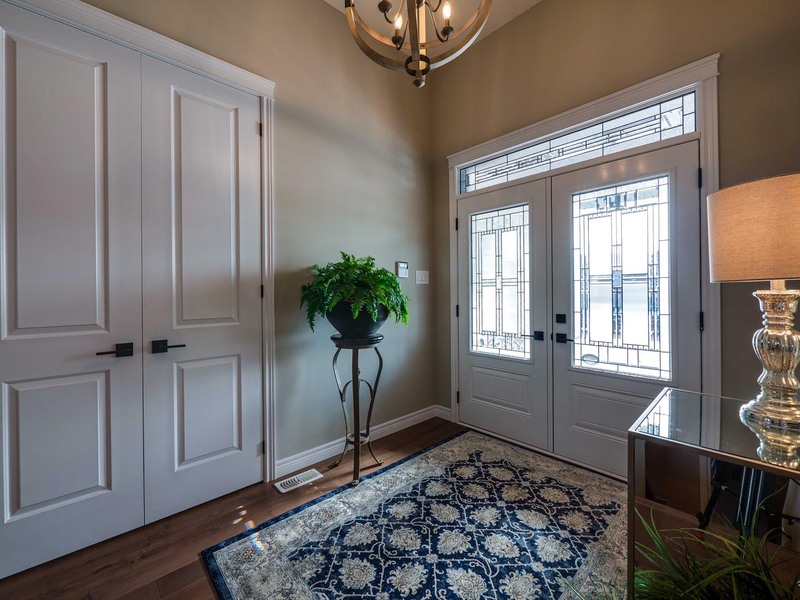 The Keswick takes the Brusnwick plan and adds a front porch and double front doors. The upgrades result in a spectacular home with incredible curb appeal. 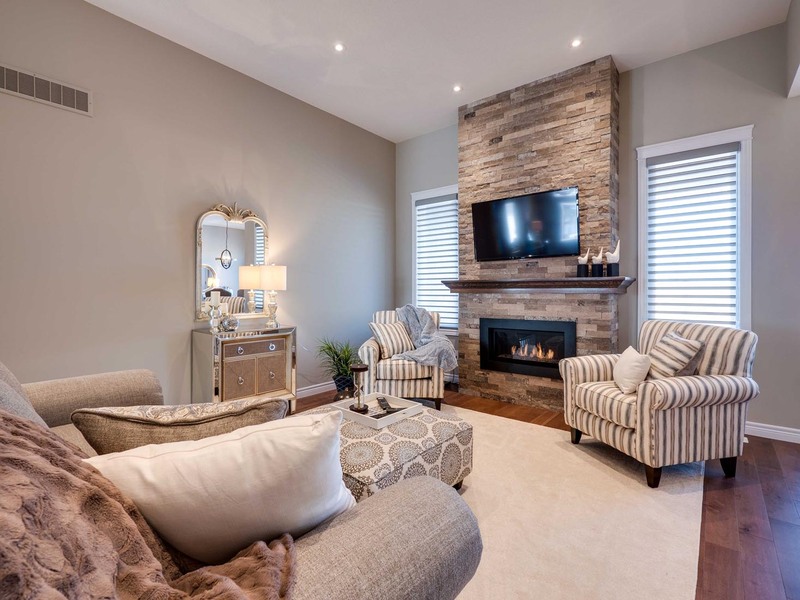 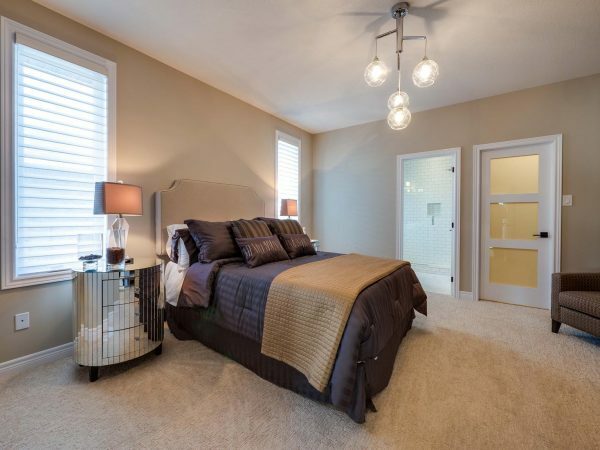 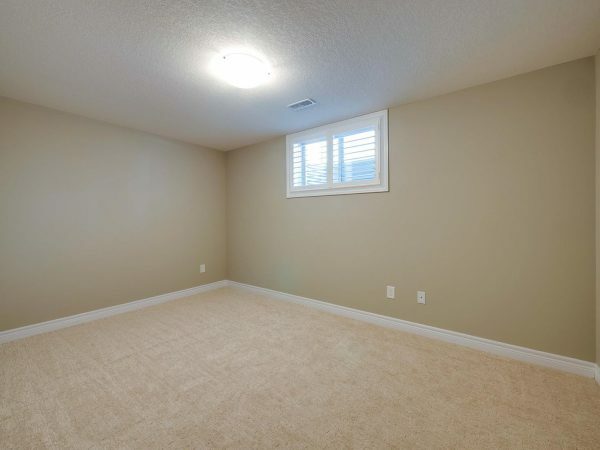 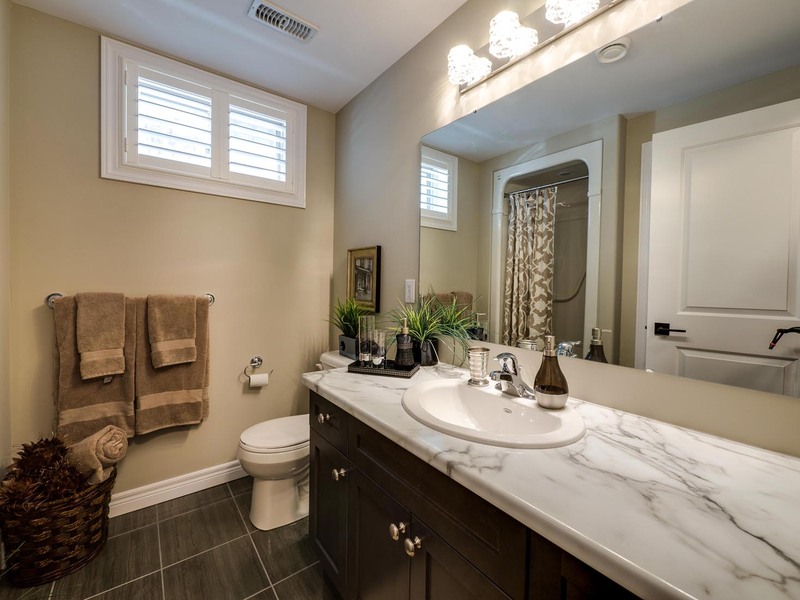 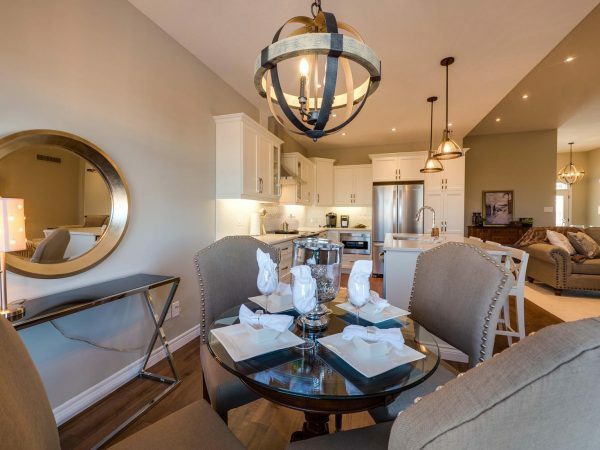 The Keswick features a main floor with 9′ ceilings throughout. 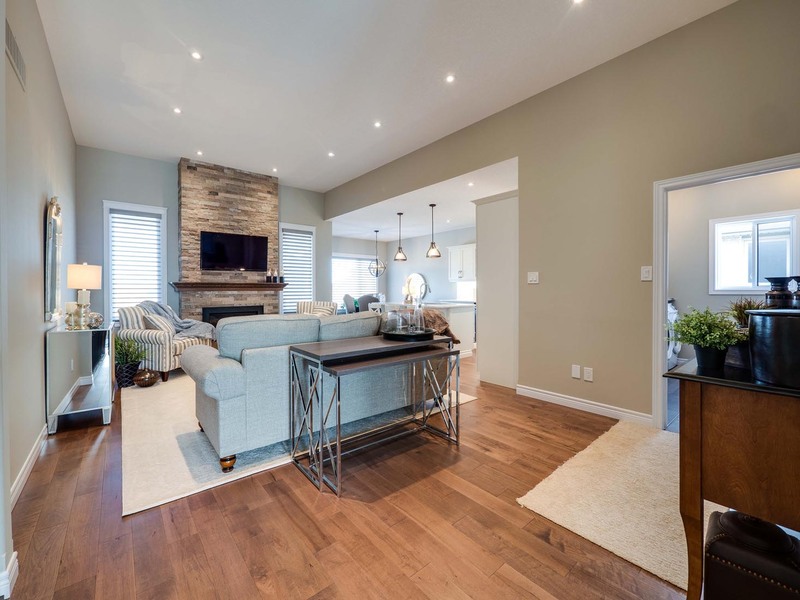 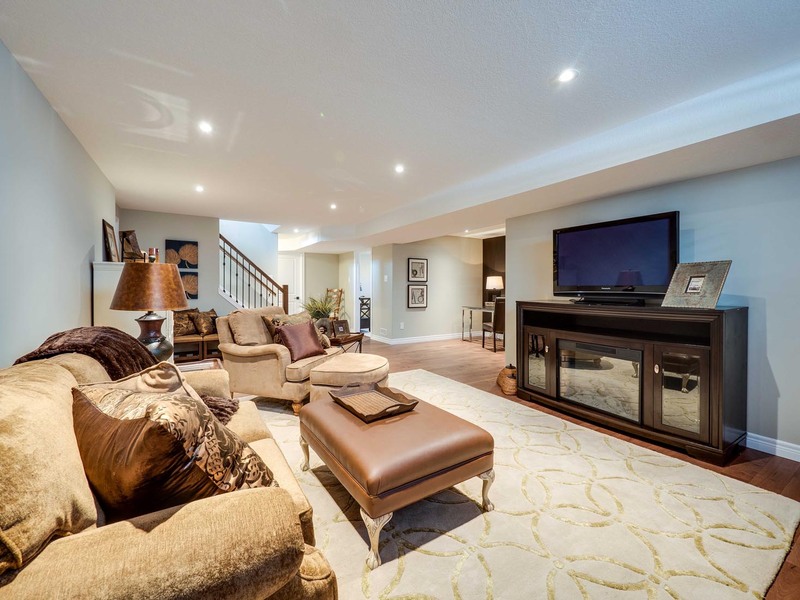 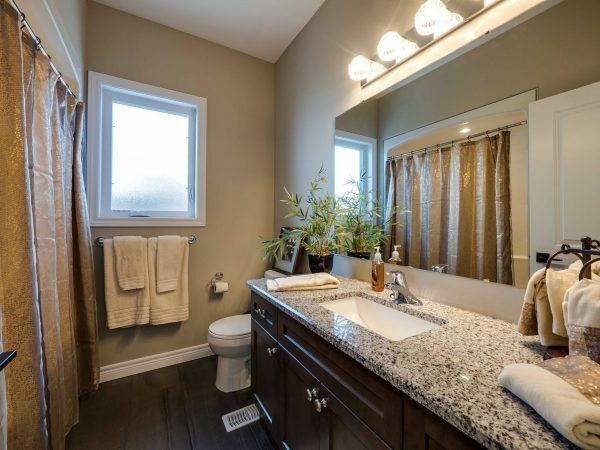 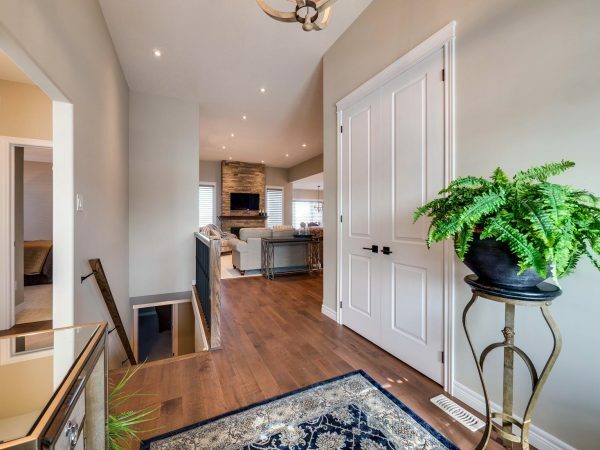 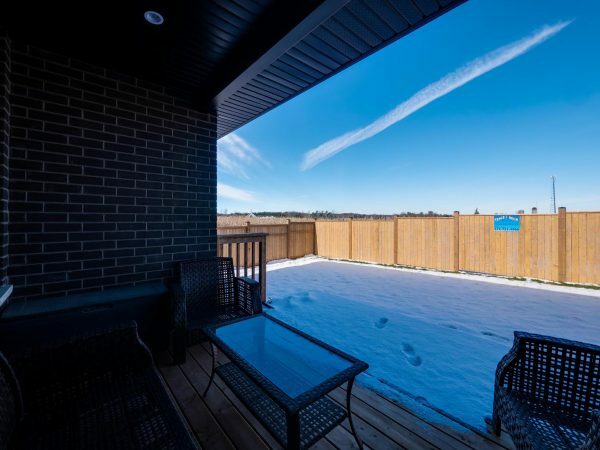 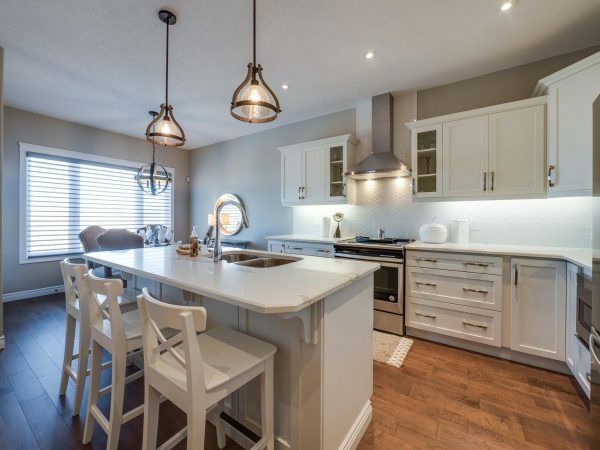 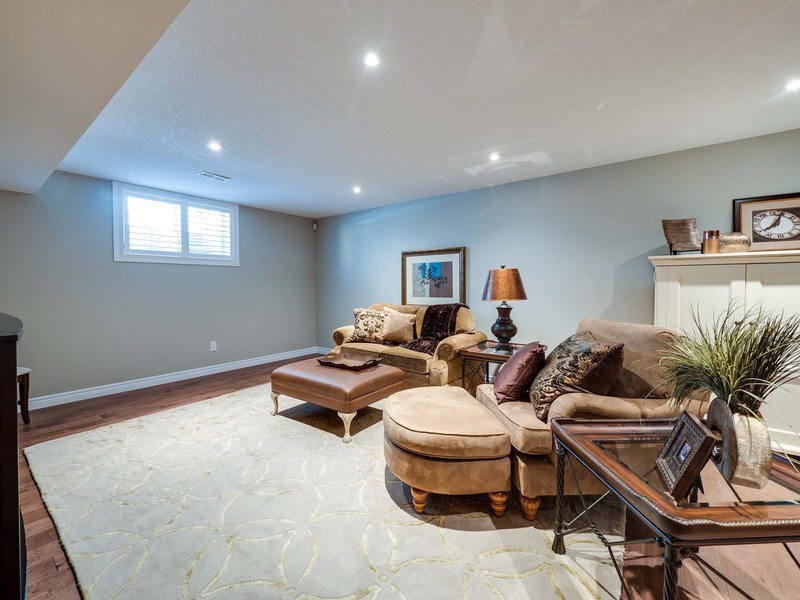 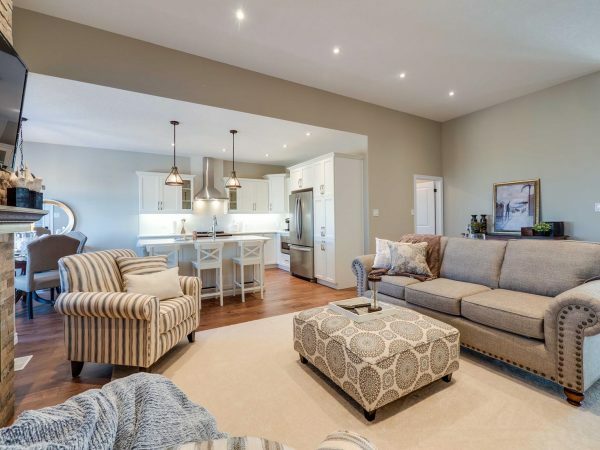 You’ll love the huge open concept great room that steps up with 11′ ceilings leading to a covered rear deck. 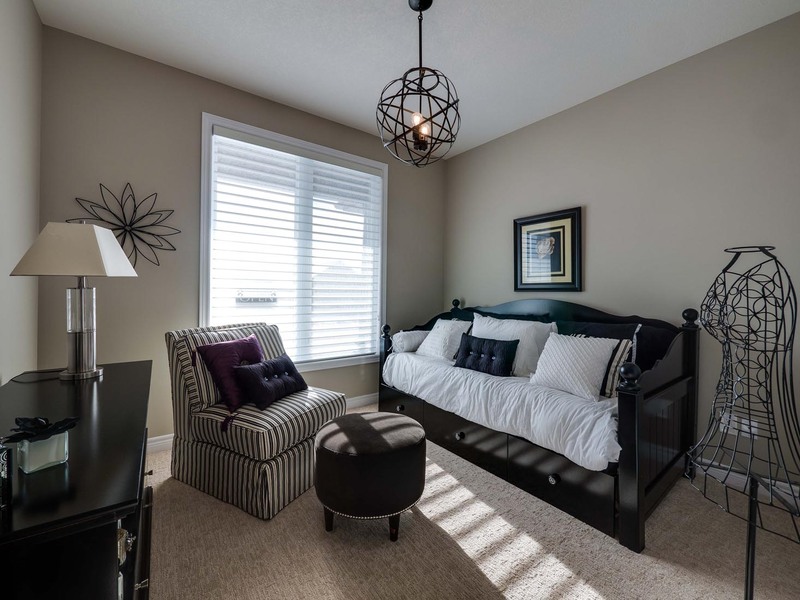 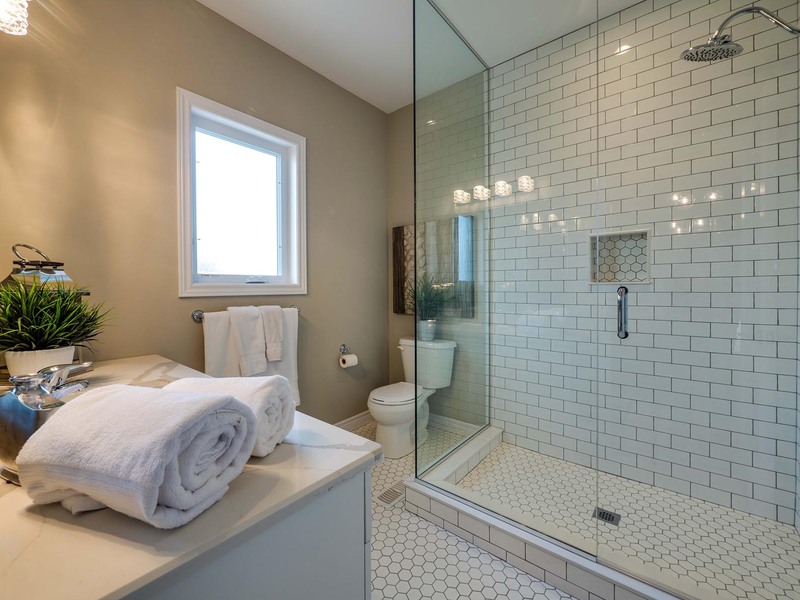 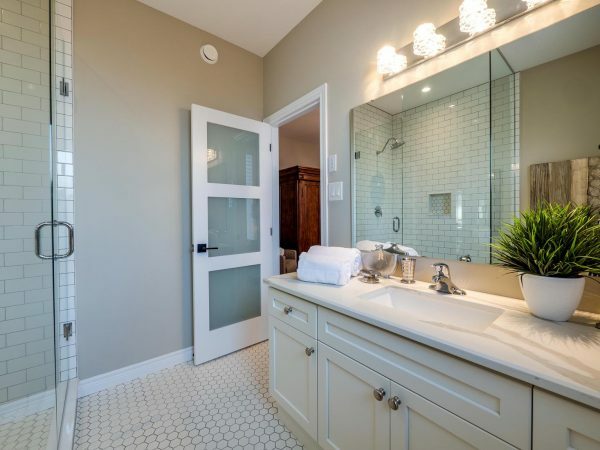 This incredible plan includes a large master bedroom with ensuite bathroom, glass shower and walk-in closet. 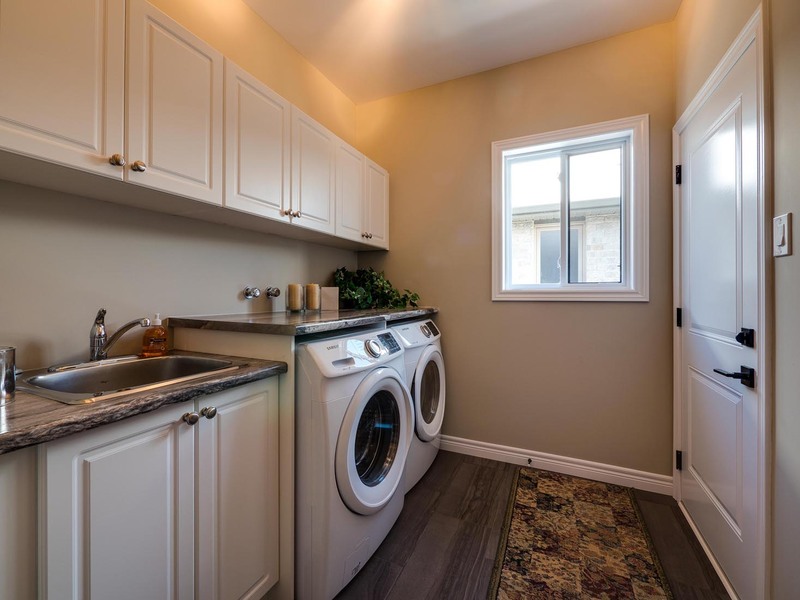 This plan is both gorgeous and practical with a huge kitchen, easy access pantry and a convenient main floor laundry. 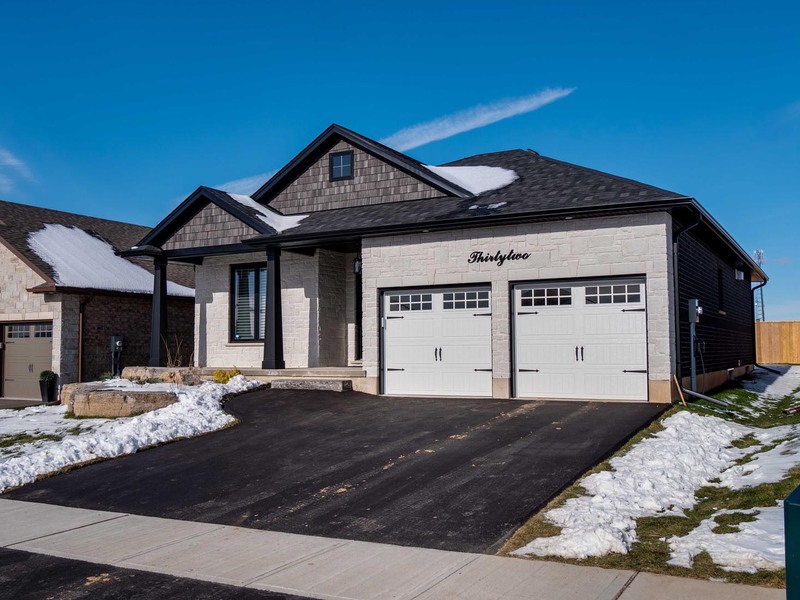 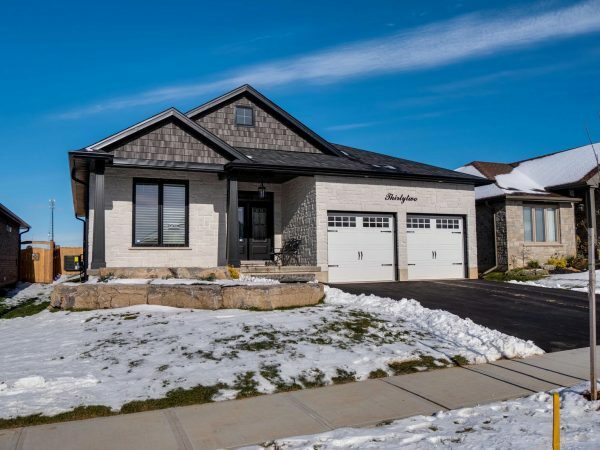 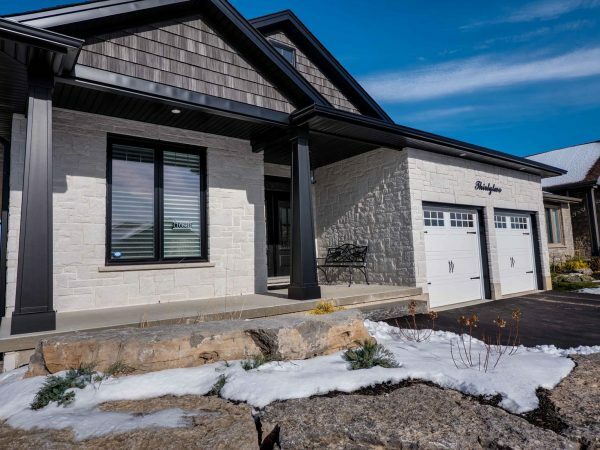 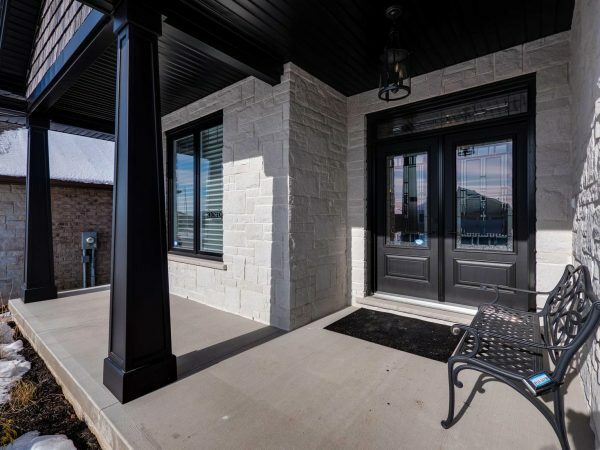 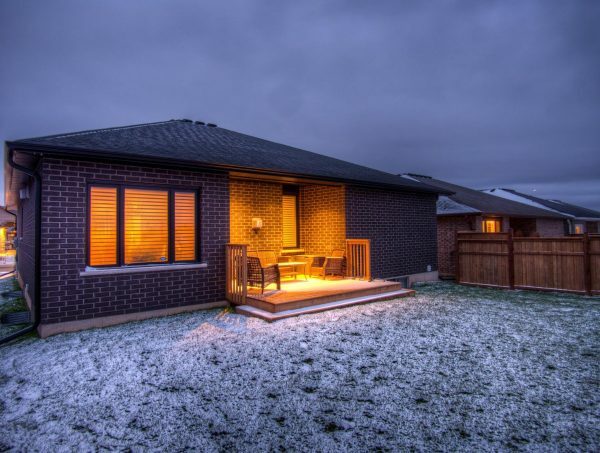 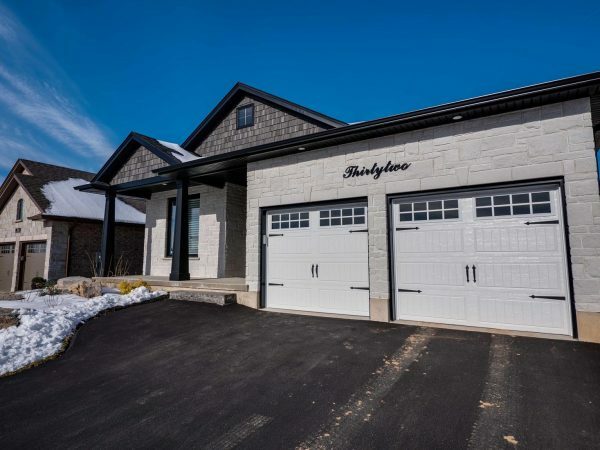 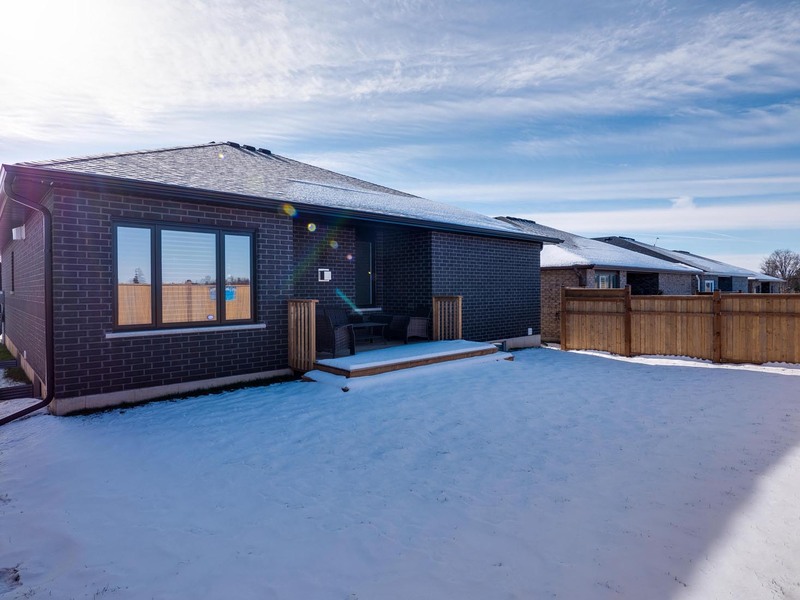 With a covered front porch, rear deck and double garage, the 1454 square foot main living space makes this the perfect Bungalow!